Gradually emerging from winter hibernation, means it's time to pack away sweaters and boots to make room for Spring. Since our skin spent the last six months hiding behind scarves and jackets, we need to delicately awaken a healthy complexion. 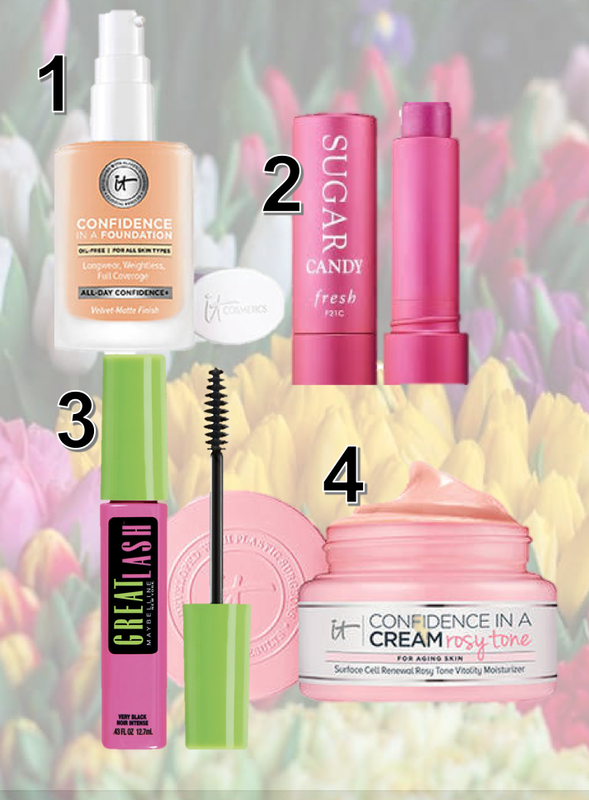 Revealing radiance requires careful conditioning, so we are sharing some of our favorite springtime skin-savers for a total skin win. As a bonus, these sunny day essentials won't break the bank. Foundation can be intimidating - if not done flawlessly you can expose creases and wrinkles that can prematurely age you. 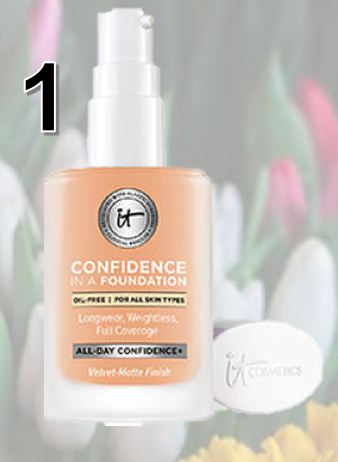 This is why we love It Cosmetics Confidence in a Foundation. It is formulated for sensitive skin, and provides even coverage that won't wear off. Plus you can wear it with a lip gloss and not look back. Plus, with over 48 shades, no one is excluded. 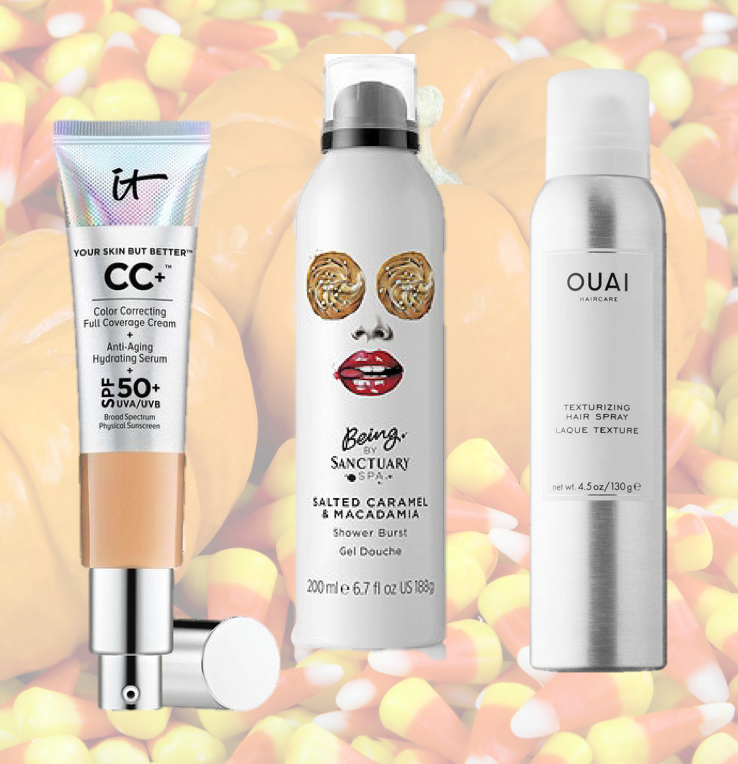 We love FRESH Sugar Lip Treatment Sunscreen SPF 15, not only for what it does, but what it doesn't: it's not sticky, chalky, or tacky. This collection nourishes dry lips while layering on light pigment that lasts through coffee and kisses. After it fully absorbs into your lips, you'll feel a smooth finish that lasts. Added bonus, the SPF will keep you protected all day long. Maybelline Great Lash Washable Mascara because it glides on smoothly to build great-looking lashes. Seriously, people always ask if we're wearing falsies. At $6 a pop, you won't mind replacing it every 3 months. Get an instant glow while cleansing your cells. It Cosmetics Confidence in a Cream (Rosy Tone) revitalizes and hydrates your skin while delicately layering on a hint of pigment. It is a mighty multi-tasker that keeps you moisturized and healthy-looking. Every heart beats true for the red, white and blue, so we rounded up our patriotic skin savers just in time for Independence Day. Between tan lines and sweat-glistening skin, you must keep a pore-minimizing powder in your beach tote. 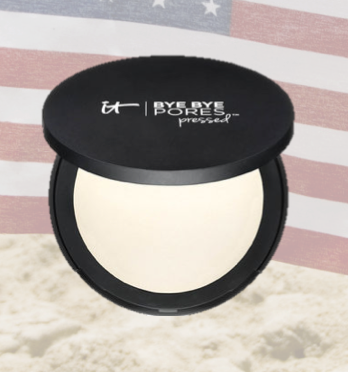 ItCosmetics Bye Bye Pores Pressed finishing powder is designed to blur the appearance of pores and imperfections with Bye Bye Pores Optical Blurring Technology. The universal translucent shade imparts all skin tones with a silky, skin-perfecting finish, while the anti-aging blend of peptides, silk, hydrolyzed collagen and antioxidants pampers skin for a more youthful, airbrushed complexion. 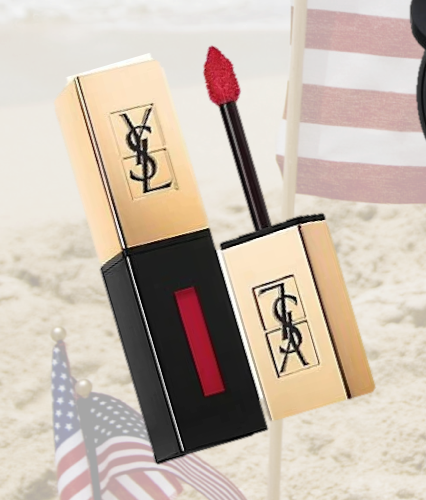 Bold, bright lips are an easy way to transform your appearance as the beach day, fades into the sunset. YVES SAINT LAURENT Vinyl Cream Lip Stain is our summer go-to because you don’t have to worry about it smudging or smearing. It’ll give you a greater pop than a firecracker and looks flawless in the pics. 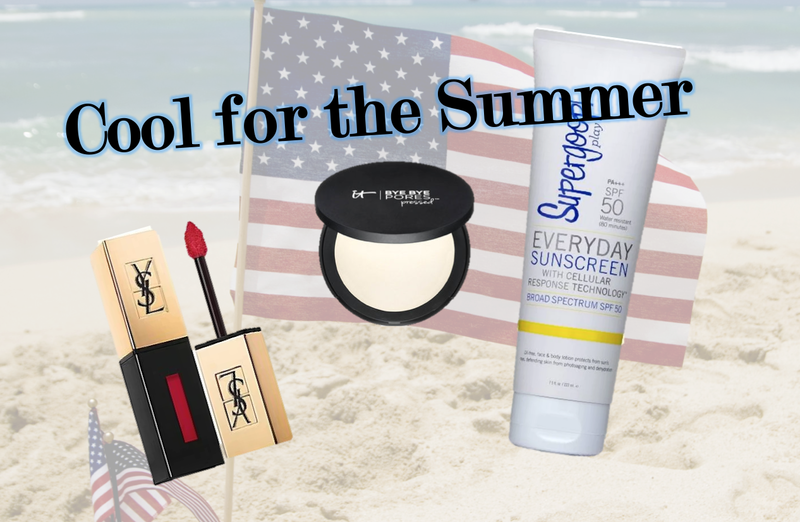 We are always on the hunt for the perfect SPF, but this summer our prayers have been answered. We are smitten with SuperGoop Everyday Sunscreen. This water-resistant formula is perfect for everyday use on face and body. It's fast-absorbing and lightweight, but with ultra-moisturizing results. And, it's made with natural extracts of citrus, basil, and bois de rose, so you'll leave that typical sunscreen smell behind. It felt like winter would never end, but now that days of golden sun are upon us, it’s time to shed our winter skin care and embrace a warmer glow. We have the summer essentials to keep you looking radiant with minimal effort. You need to be gentle with your skin as you transition outside from the great indoors. 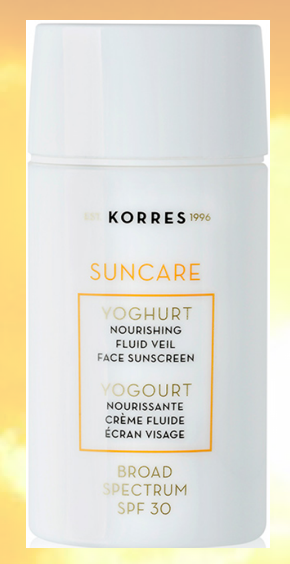 We recommend protecting your delicate facial skin from the sun’s harsh rays with KORRES Yoghurt Nourishing Fluid Veil Face Sunscreen SPF 30 (Sephora.com). This ultra-sheer, soothing suncare solution is made with Yoghurt, which is rich in skin-repairing proteins, helping to keep the skin nourished. While providing daily broad spectrum UV coverage, the silky texture and weightless finish allow for the sunscreen to wear beautifully under makeup. When you first come out of your winter hibernation, your facial skin is most vulnerable to environmental pollutants and toxins. We cannot resist ItCosmetics Secret Sauce Clinically Advanced Miraculous Anti-Aging Moisturizer (ItCosmetics.com) brighten our summer complexion. It instantly hydrates and transforms our skin through a powerful cocktail of penetration-enhancing fermented ingredients for anti-aging results. When you have the option to jump into a pool take it. Don’t waste the opportunity because your mascara is going to run. Instead, stock up on Cargo Swimmables Waterproof Mascara Top Coat (Cargocosmetics.com). 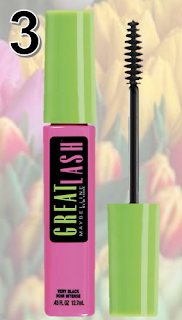 It will transform any mascara to be tear-proof, sweat-proof and waterproof. This invisible formula will coat lashes with a lightweight waterproof seal while maintaining the performance of your favorite non-waterproof mascara. Buff away dry, dead skin to awaken healthy radiant cells. 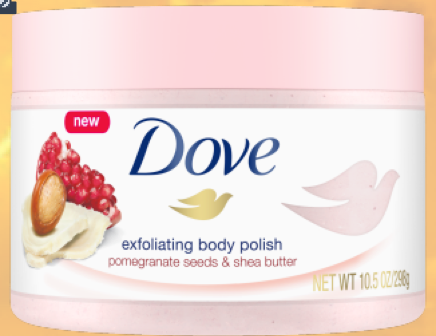 We slough off with the first body scrub from Dove. Their Exfoliating Body Polish (Dove.com) scrubs and nourishes skin to help streamline your skincare routine. Formulated with the brand’s signature ¼ moisturizing cream, Dove Exfoliating Body Polish works to remove dull, dry skin while providing the nourishment skin needs. 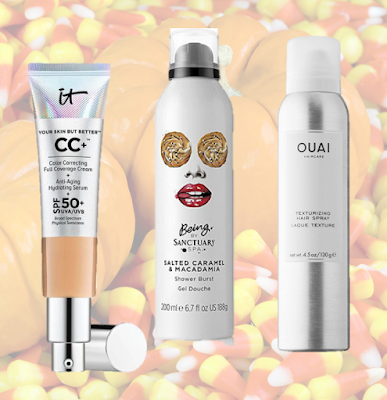 Kick back in your black booties and plush turtleneck sweaters, fall is here. As you cozy up to the crisp weather, don’t forget to transition your skincare routine with the season’s comfiest skincare products. 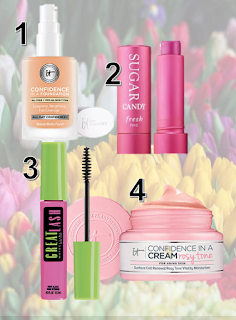 If you need an energizing boost, then check out It Cosmetics Your Skin But Better CC Cream. This multitasking must-have combines SPF 50+, anti-aging serum and color correcting ingredients for an instantons makeover. It’s simple to apply, just dab a dot on your forehead, cheekbones and chin, then blend together to resolve uneven skintone. You’ll love the lightweight finish and just because the sun isn’t blazing, doesn’t mean you can neglect your sunscreen, but don’t worry, we got you covered. because it smells delicious without getting cloying. Drizzle it over your skin and get set for some deliciously laid-back vibes. It’s so caramelicious bae will wanna eat you up. From the moment you wakeup, you are on the go, so stock up on a hair essential that works as hard and fast as you do. We adore OUAI Texturizing Hair Spray because you spritz it on your wet hair, use your fingers to detangle your locks, then let the advanced styling formula take care of the rest. It even lasts if you pull your hair into a tight ponytail – after you release your strands, you’ll find soft, tussled waves. Just because you don’t have time to blow-dry doesn’t mean you can’t look great. As a new mom you learn to prioritize your day around your baby. Unfortunately, this often means sacrificing self-care activates in favor of scraping ketchup out of your kiddo’s hair. Before you go too far down this path, consider that if you get too exhausted and wear yourself down to the point that you can no longer helm the ship, your family may be headed for a wreck. So, what to do? The answer is make the most of each moment, which means multi-tasking skincare products are now your best friend. We have a three-step routine to wash away stress and grime, leaving you feeling physically and emotionally refreshed. Don’t give up schlepping your stroller to the park because the sweat makes your makeup run and t-zone breakout. Instead, remove dirt and cleanse your complexion with It Cosmetics Miracle Water. It is a 3-in-1 anti-aging tonic that purifies, brightens and moisturizes without stripping skin of essential nutrients. There is no better feeling than tucking your little one into bed, then retiring to the bathroom for a 5-minute pampering session. Simply pour several drops onto a cotton round to nourish your skin without rinsing. For a fun bonus, toss it in your diaper bag and share a swipe with your mom friends – you’ll become the most popular mommy on the playground. Tackling tough skincare issues means relying on your rich, luxurious knight in shining armor. No, we aren’t talking about your hubby, we’re talking about night cream. 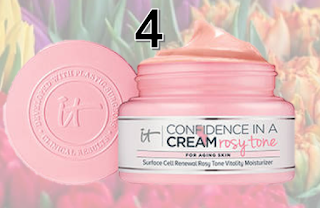 It’s no mystery why some people awake with flawless skin, the solution is in the SecretSauce (from It Cosmetics). This moisturizer instantly hydrates skin while deeply absorbing powerful anti-aging and restorative ingredients into your parched cells. You may not have time for facials or peels, but this results-driven brand reports that 94% of participants in a clinical study, said their skin looked radiant, healthy, soft and smooth. One of the most annoying pieces of advice that I received before my baby was born, was to “get as much sleep as you can NOW, because after the baby comes you won’t be sleeping soundly for the next 18-years...” As a mom and psychotherapist, this is not a funny situation to normalize. Among the many benefits your kids will get from sleep training – like structure, consistency and well, sleep – you are demonstrating a valuable lesson in self-worth. I’m not here to debate the merits of sleep-training, but it is of critical importance to prioritize sleep. When it comes to the hierarchy of needs, until your basic needs get met (i.e. sleep, food, water, etc), you cannot begin to address your needs for safety, psychological security, and becoming a self-actualized person. Translate this information into any action that ensures a restorative sleep on a regular basis.